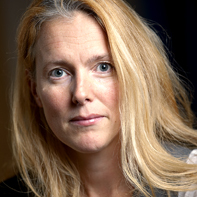 Maria Becker Gruvstedt is a senior lecturer at the Academy of Music in Malmö, Sweden and has been an employee since 1994. MBG is working in the department of the Teacher Training Program and teaches within the field of music education and didactics, methods, children/young people´s psychological/cognitive and musical development. MBG supervises students who are writing their bachelor and master thesis’s and conducts university courses with focus on further education for teachers in music schools. Former positions at the Academy of Music are administrator for internship at the Instrumental- and Ensemble Teacher Training Program (1994-99) and vice director for Instrumental- and Ensemble Teacher training program (1999-2007). During 2007-2014 MBG was the coordinator for development and outreach (half-time) at Kulturcentrum Skåne in Lund. Kulturcentrum Skåne (www.kultucentrumskane.com) is a regional centre for culture in the south of Sweden and runs a 3-year post-secondary art education for students with intellectual or cognitive disabilities. MBG is a french horn player and has been working as a free-lance musician for 20 years and as a teacher in French Horn playing and Ensemble at The Municipal Art in Culture School in Lund for 17 years. Today she plays in a semi-professional orchestra in Lund in her leisure time.